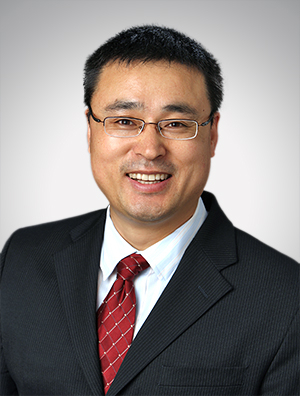 Yonglin Liu, Ph.D., is a member of the firm's Intellectual Property Practice Group. Dr. Liu's experience includes preparing and prosecuting domestic and foreign patent applications and assisting clients with patentability analyses and infringement and invalidity assessments. Dr. Liu's technical expertise includes Pharmaceutical, Chemical, Materials Science and Engineering, Nanotechnology/Nanomaterials, Biotechnology, Biofuel, and other Life Science technologies, along with consumer products, water treatment and purification, biomedical and mechanical art. Dr. Liu has assisted clients to secure patents or prosecute patent applications in the fields of pharmaceuticals, small-molecule drugs and related formulations, vaccine technology, catalysts, natural products, polymers, nanomaterials, lubricants, surfactants, recombinant proteins, therapeutic antibodies, medical devices, drug delivery systems, and diagnostic systems. Dr. Liu assists a broad range of clients including universities and research institutions, start-ups, mid-size companies and Fortune 500 multinational corporations. Dr. Liu is an author of many prestigious publications, including publications in Angew. Chem. Int. Ed., Nano Letter, and Journal of Organic Chemistry. He is listed as an inventor on an issued U.S. patent.